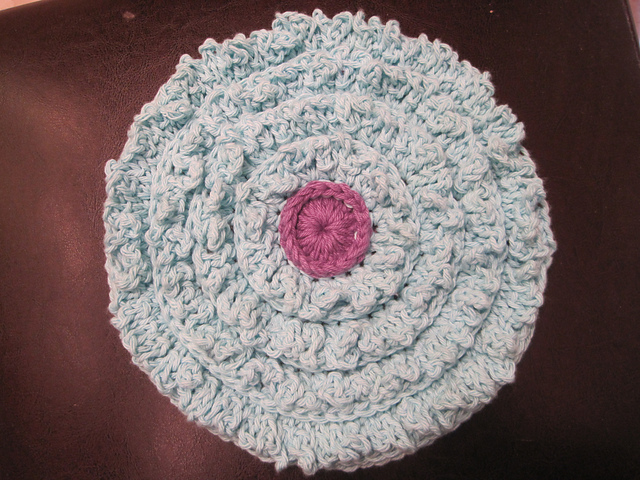 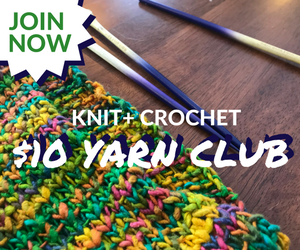 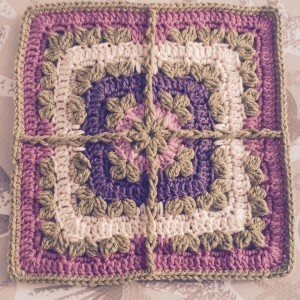 Bpsc – Back post single crochet – Insert hook from the back side of the work right to left around the post of the indicated stitch on a previous row; yo and pull up a loop, yo and draw through two loops. 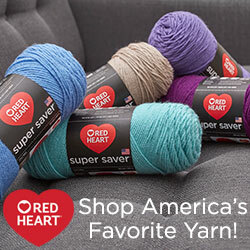 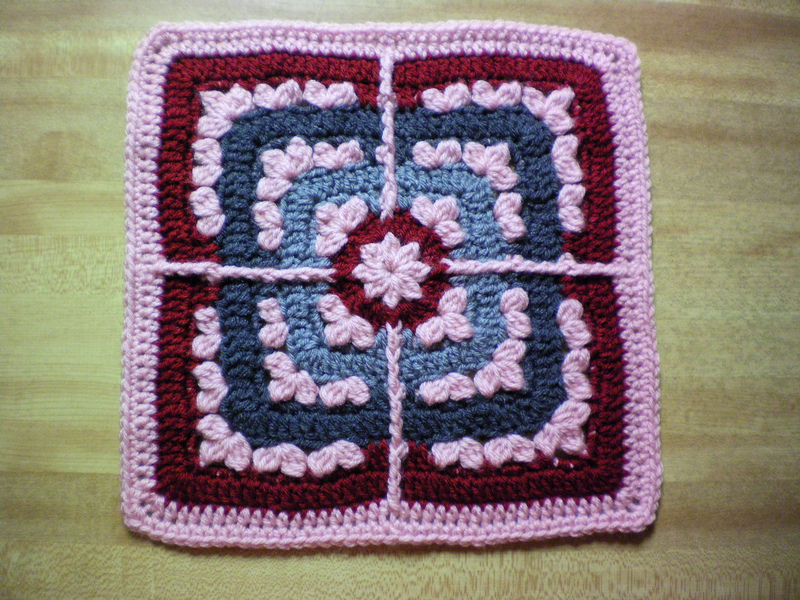 Bpdc – Back post double crochet – Insert hook from the back side of the work right to left around the post of the indicated stitch on a previous row; yo and pull up a loop, yo and draw through two loops, yo and draw through two loops. 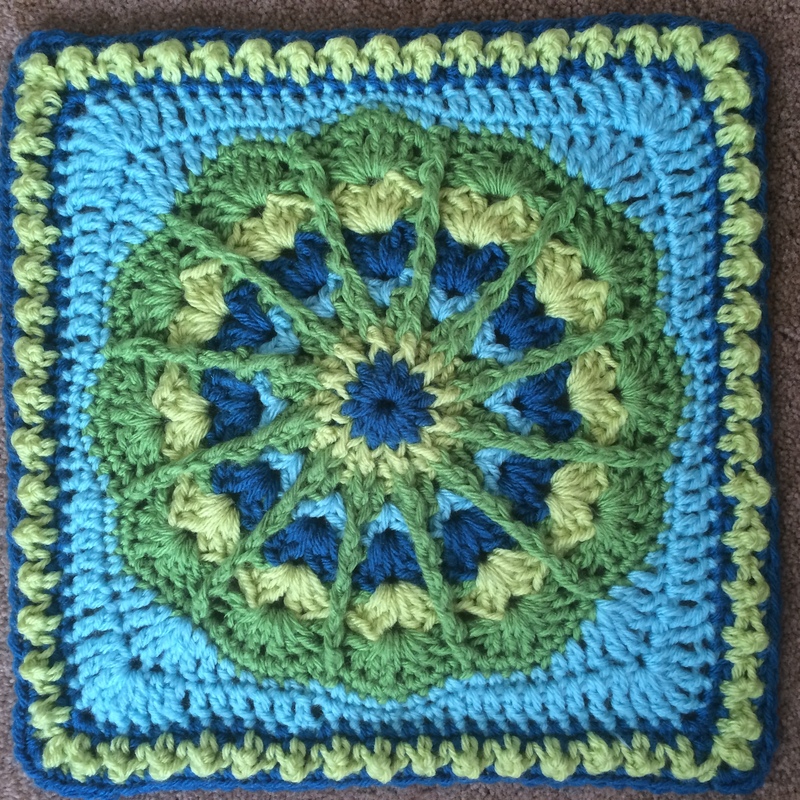 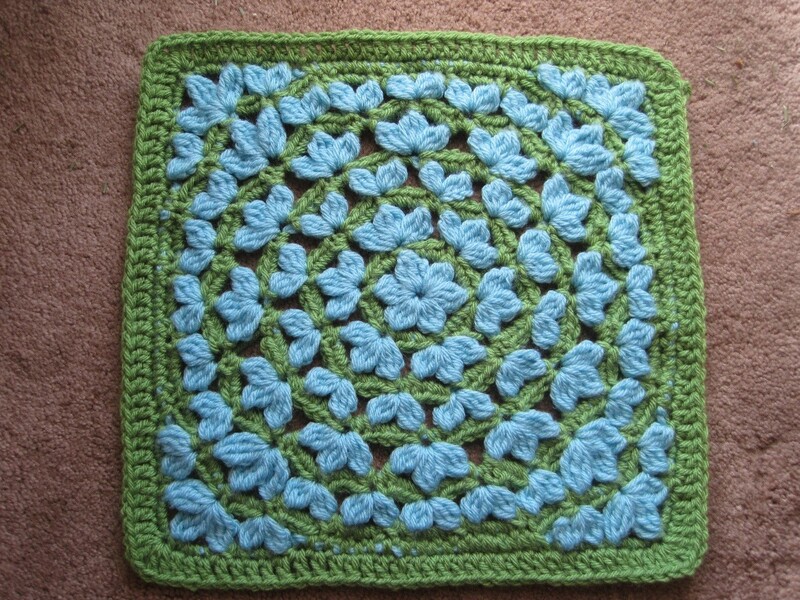 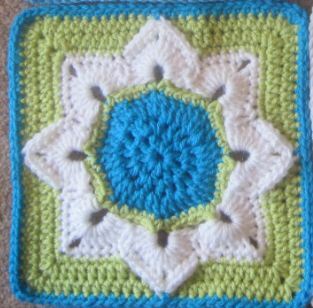 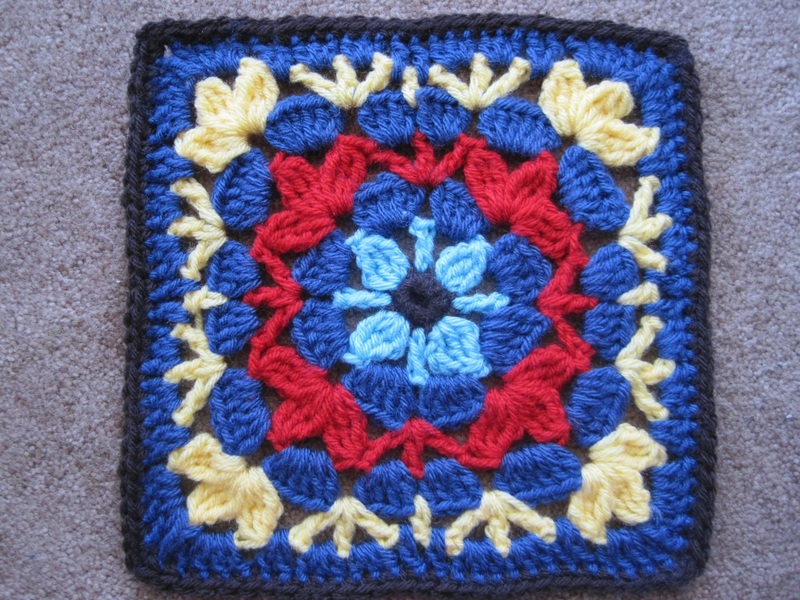 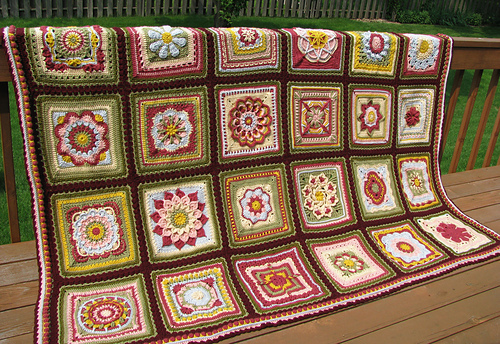 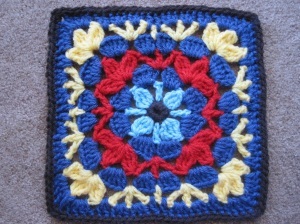 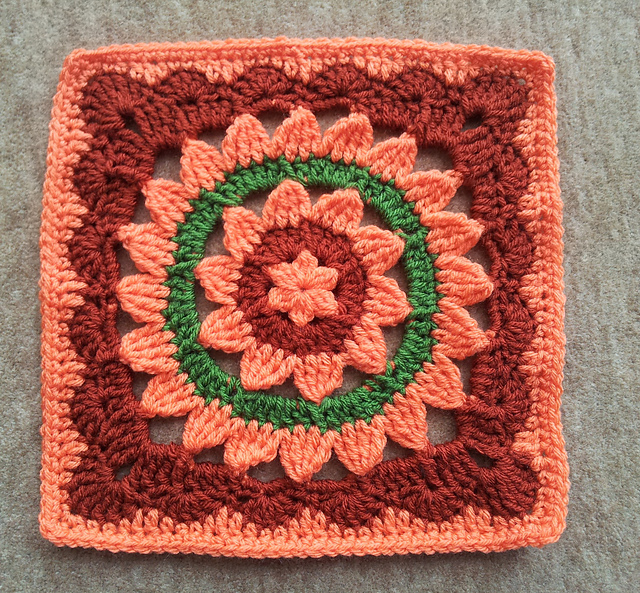 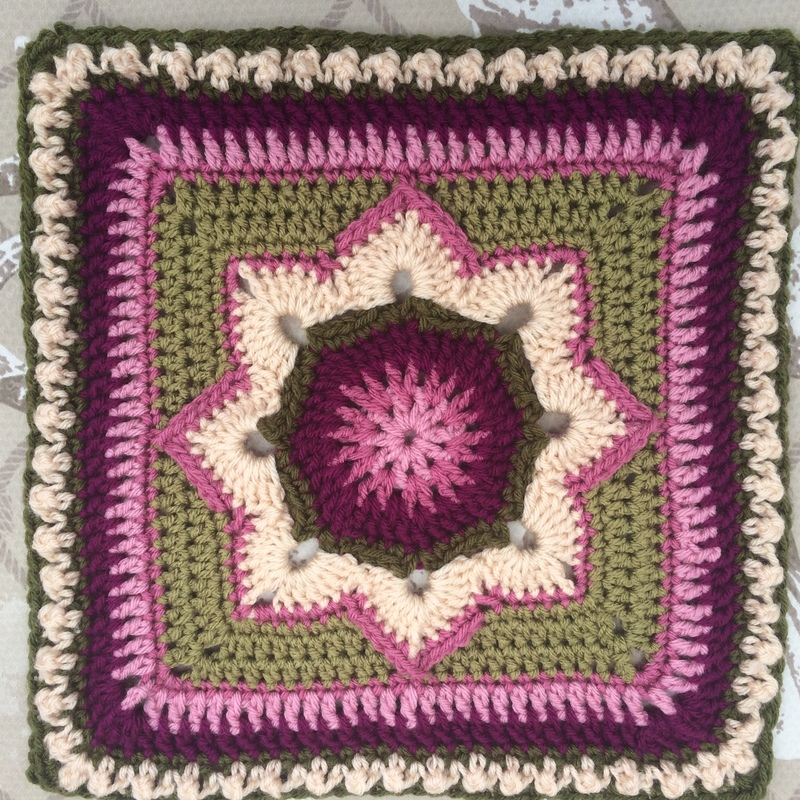 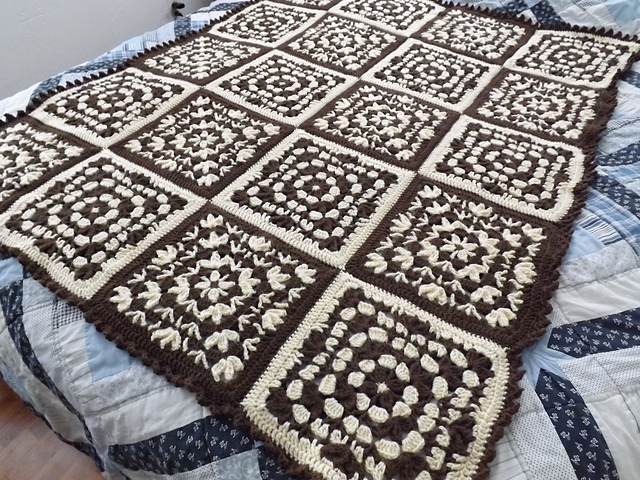 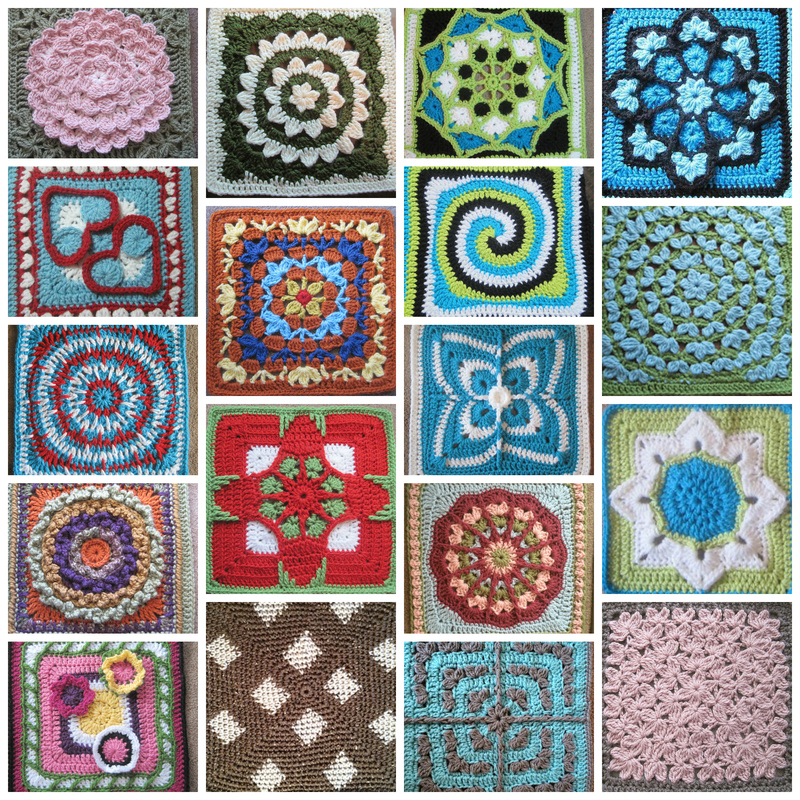 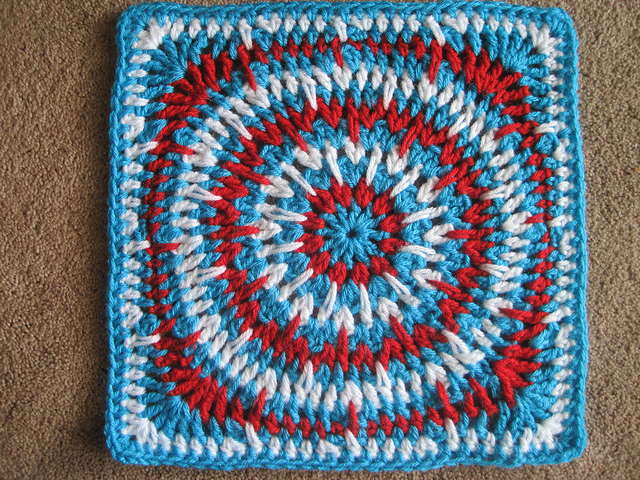 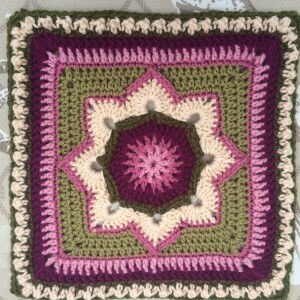 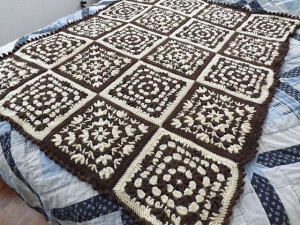 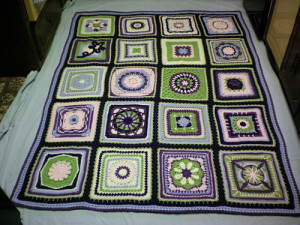 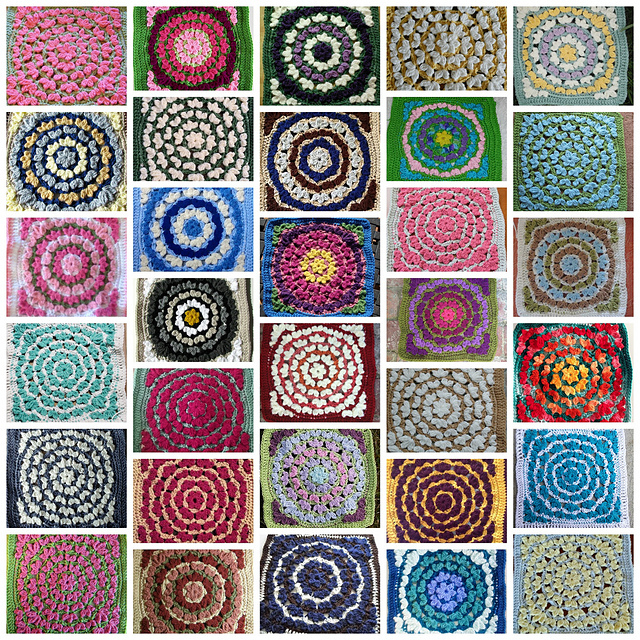 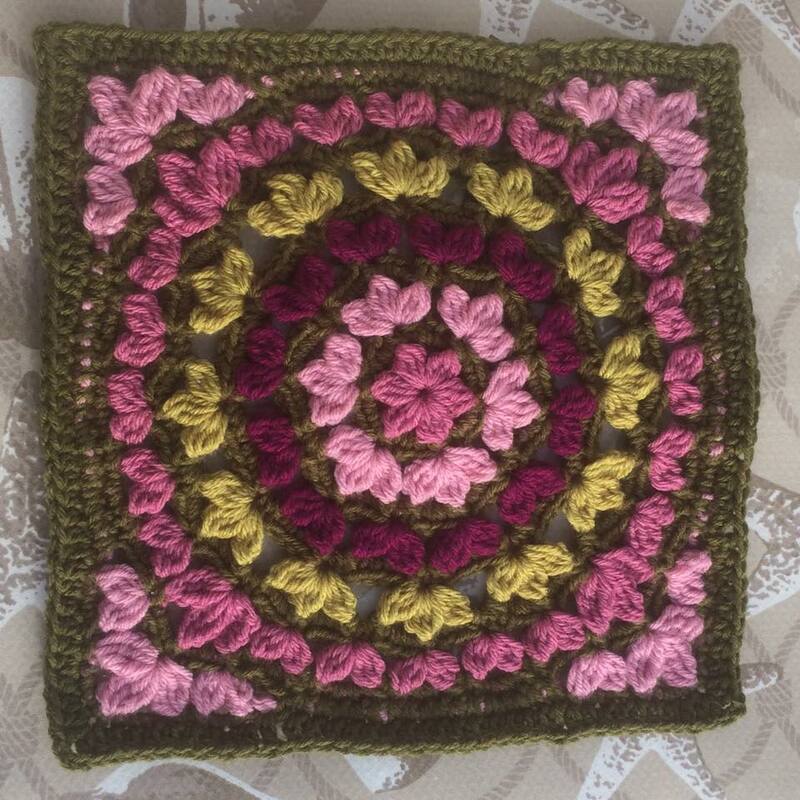 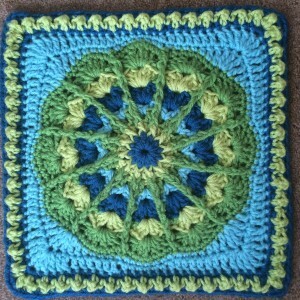 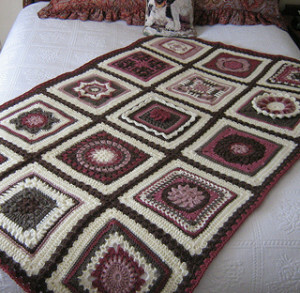 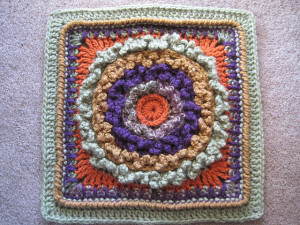 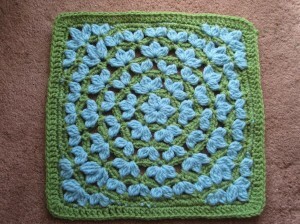 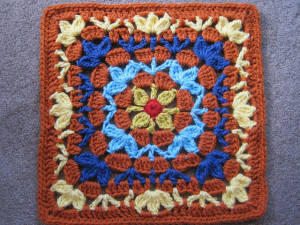 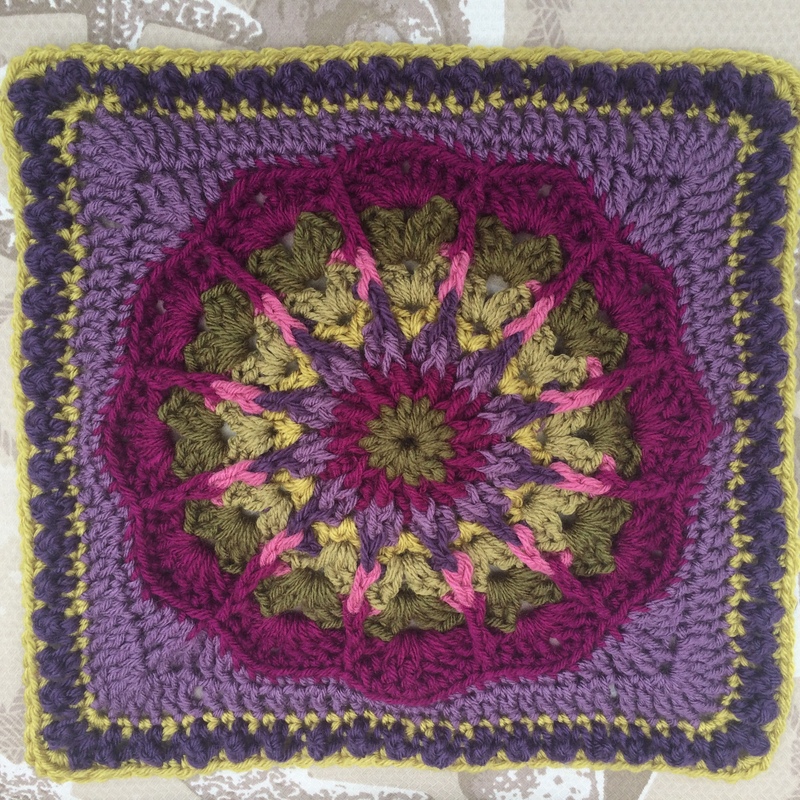 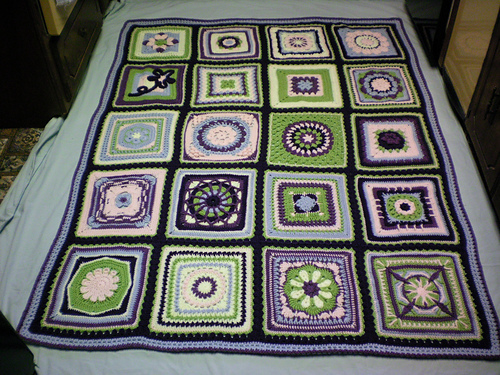 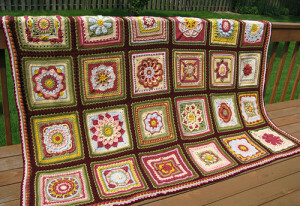 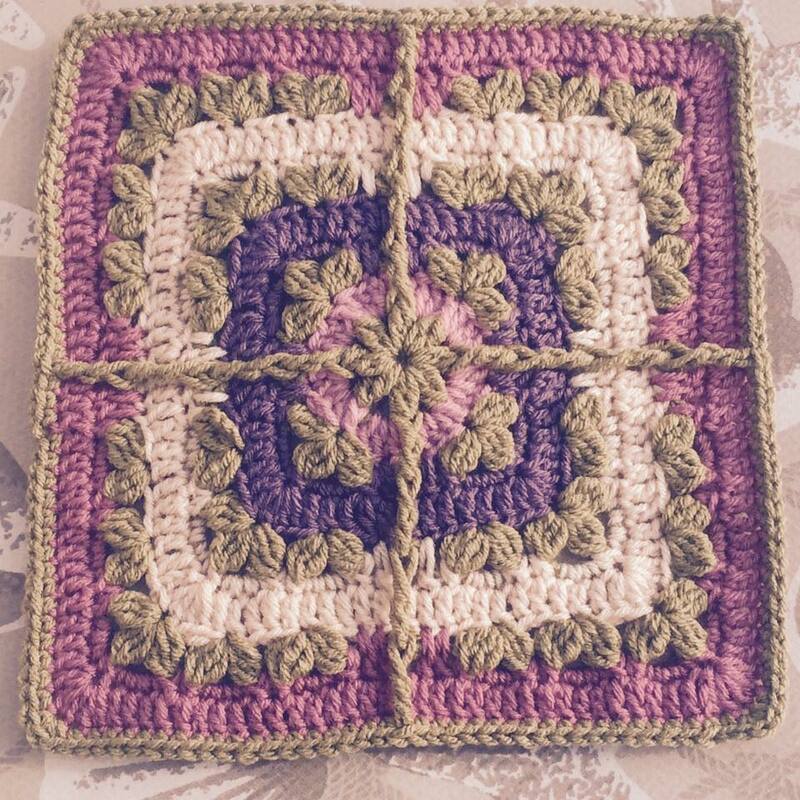 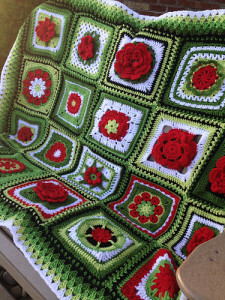 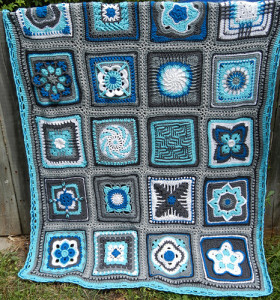 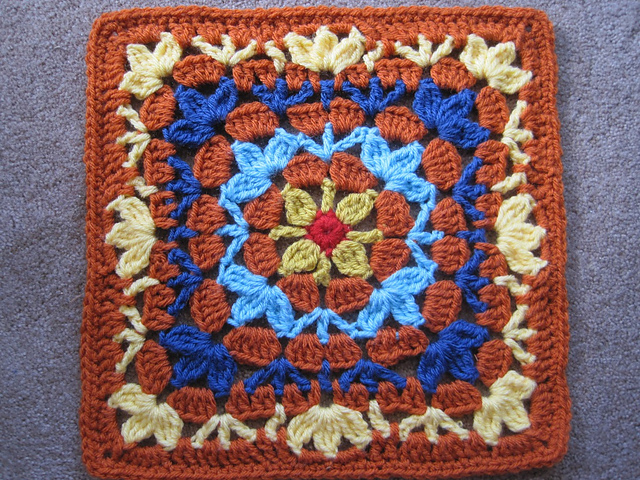 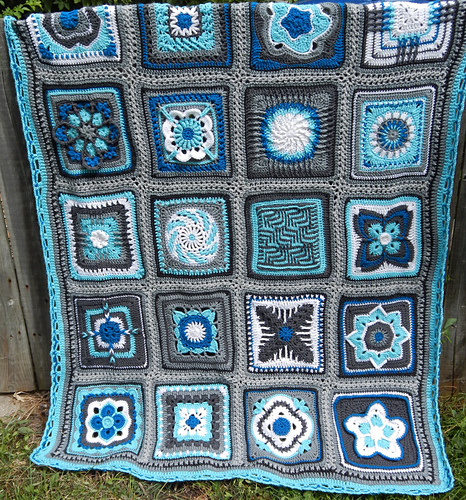 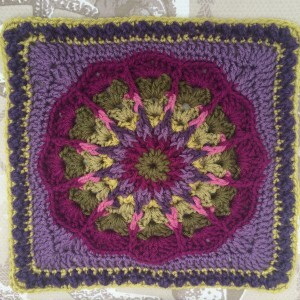 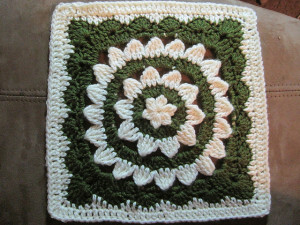 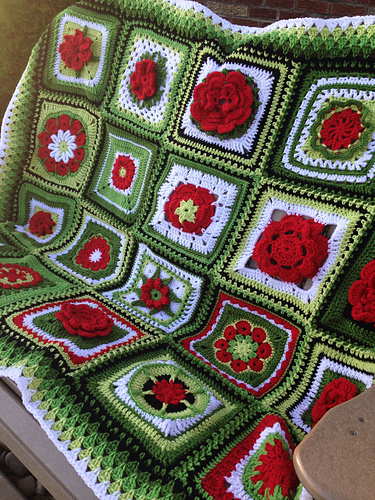 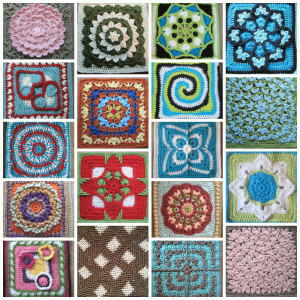 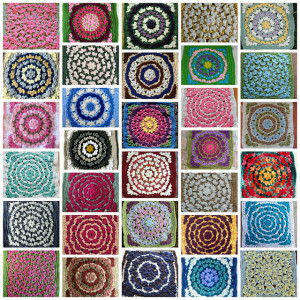 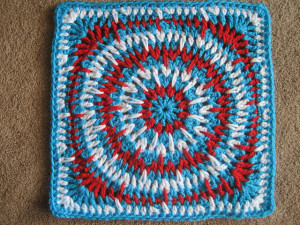 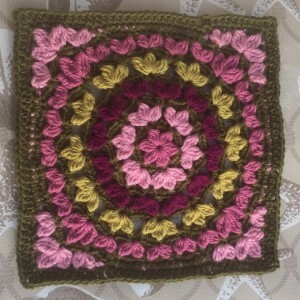 Work as for afghan square through Round 12. 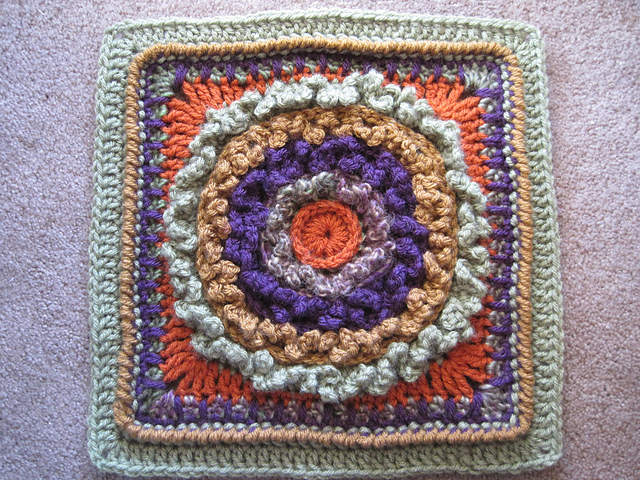 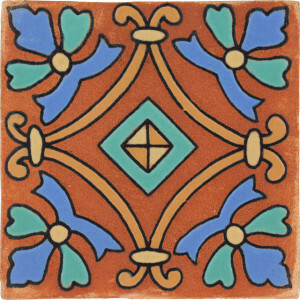 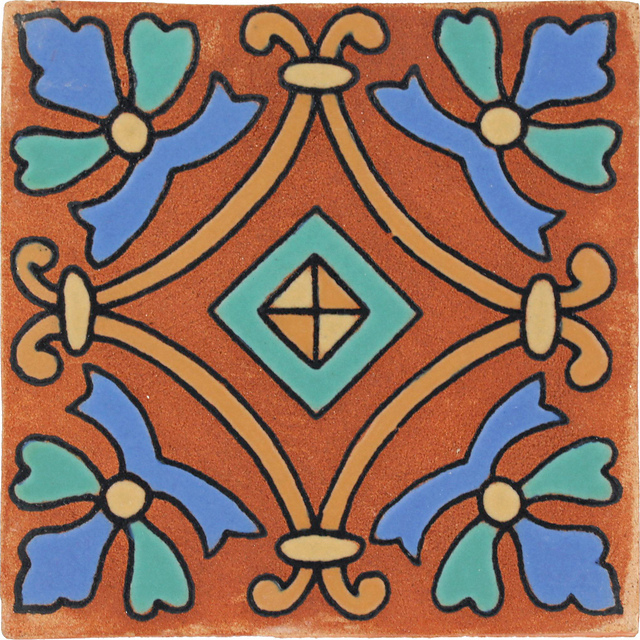 Copyright 2013 – Julie Yeager Designs. 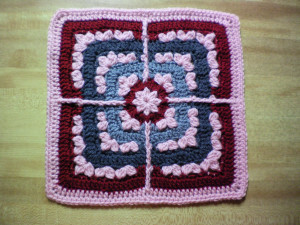 Please do not post this pattern on the internet, even if it was obtained as a “free pattern.” Post the link to my website – http://julieyeagerdesigns.com, or my Ravelry store – where you can see all my patterns – http://www.ravelry.com/stores/Julie-yeager-designs. 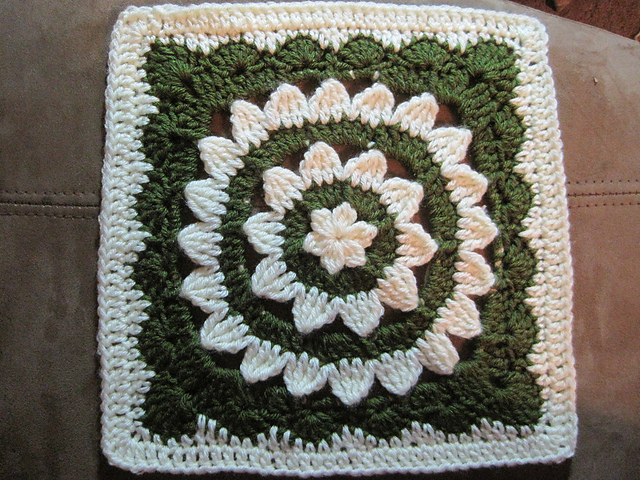 Contact me via e-mail at julieyeagerdesigns@gmail.com.